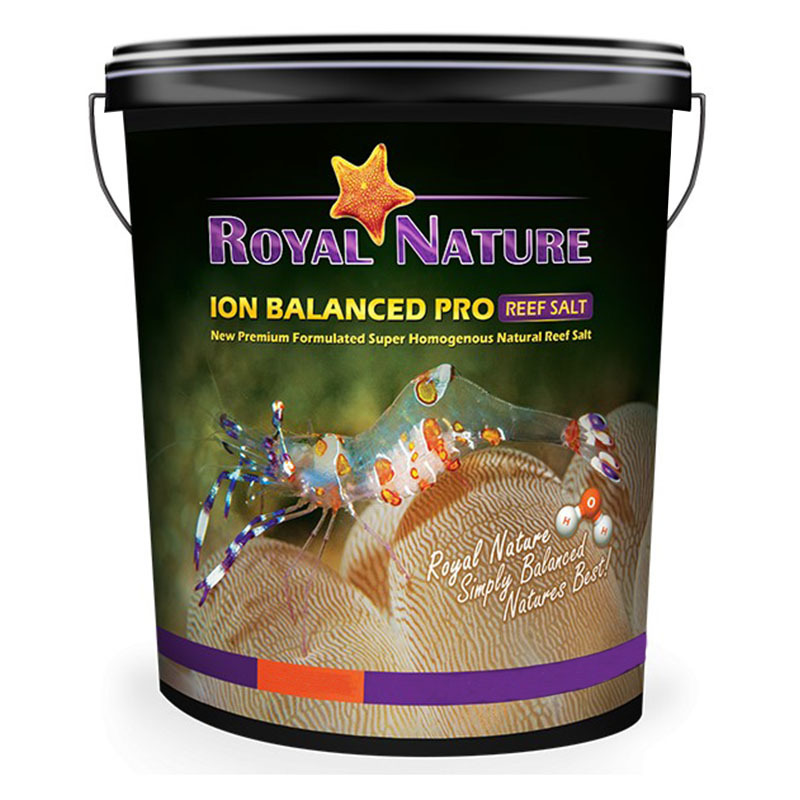 Free from ammonia, phosphates and nitrates, Royal Nature Ion Balanced Natural Salt is made using the highest standards of purity and chemistry, giving you a more efficient mixing method and allowing you to have crystal clear water with the best parameters that will ensure the best results for the most natural and refreshing environment for even the most delicate corals and fish. The volume of salt water that can be made from a single bucket 23kg of Royal Nature Ion Balanced Pro Salt depends on the required SG or PPT of the final solution. In order to get to a specific gravity of -1.0264 = 35.5 PPT, we recommend mixing 1 kg of Royal Nature Ion Balanced Pro Salt with 26 liters of RO water using circulating pump. The resulting salt water is ready for use when the salt is completely dissolved, a process that should take about 30 minutes. Best results are at temperature of 24-25 c (74-76 F). Check salinity with a reliable and calibrated refractometer and add salt or water to achieve the correct level. We recommend monitoring water parameters before adding it to the tank. 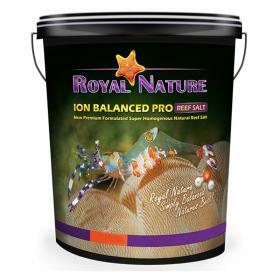 A weekly partial water change of 10-12% using Royal Nature Ion Balanced Pro salt will ensure balance of all macro and micro elements with their natural values.